SAVE $43.99 on your order today! 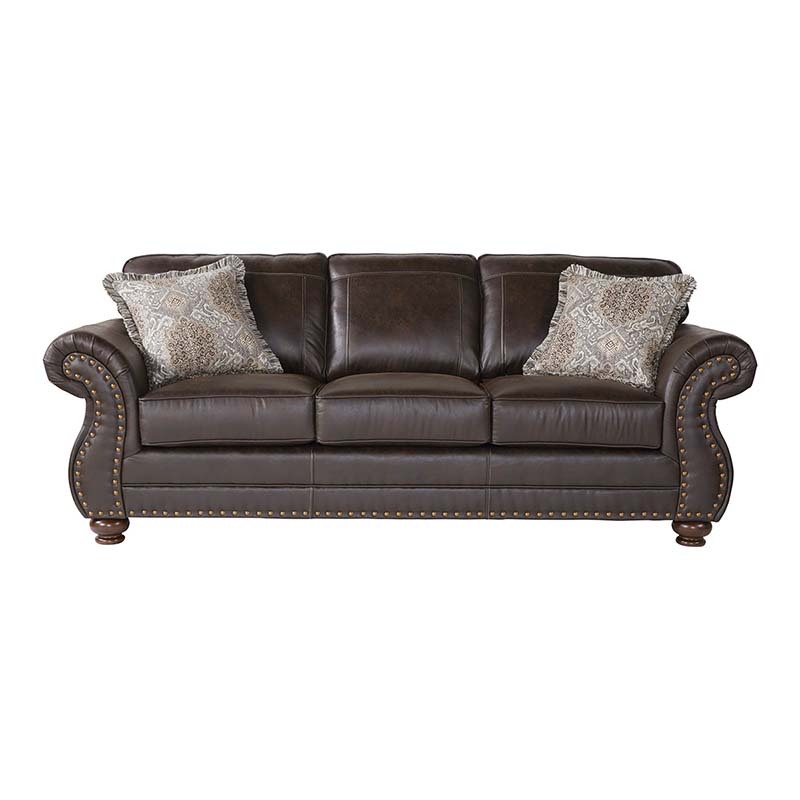 Part of the Lodge Collection, this sofa comes in a dark leather look fabric and nailhead finishes. It's extra padded silhouette is is further defined by the nailheads, a self welt and top stitched back cushions. It's constructed with a hardwood frame and Serta comfort.